Arne Jacobsen (1902-1971), a highly regarded Danish architect, is well known and greatly respected for his visionary Mid-Century chair designs. He was inspired by some of the greatest modernist designers working in the 1950s, including Charles and Ray Eames. His creativity expanded from architecture to revered seating designs that include the Swan Chair and the Ant Chair, among others. 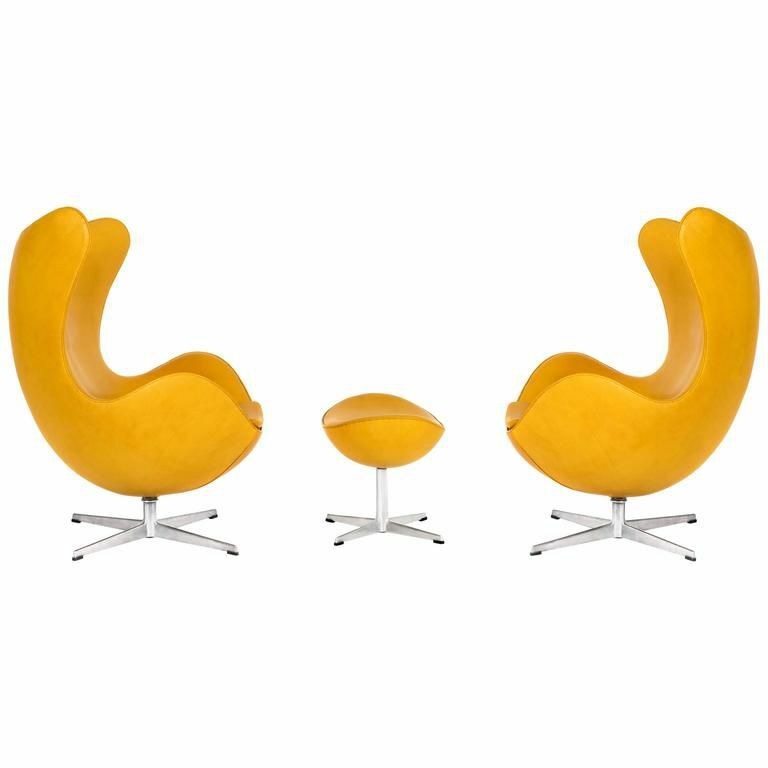 The most recognizable style, and perhaps the most popular among modernism fans, however, is his Egg Chair. Original Egg Chairs are quite valuable -- lookalikes, not so much. That's why it is important to learn how to authenticate one you might run across at an estate sale or resale shop. The Egg Chair - one of the eye-catching pieces Jacobsen designed to furnish the SAS Royal Copenhagen Hotel when it opened in 1960 - is Jacobsen's signature piece. The flawless design for the chair and matching footstool date back to 1958, however. This impeccably crafted chair is still being made by the Fritz Hansen company, as it has since its inception. The first step to ferreting out originals when it comes to most types of antiques and collectibles is to look for a mark or label, and this includes furniture as well. Looking for a label on an Egg Chair can help you determine if it is an original, and also figure out when the chair was made. Newer examples will have a Republic of Fritz Hansen label attached to the fabric. From 2006 through 2010, a red tag was used. Those made after 2010 will have a brown tag. Don't see the label on a chair made prior to 2006? Look on the base. There may be a sticker on the cylinder that attaches the top to the base, with "Made in Denmark by Fritz Hansen" and also includes a four digit date indicating when the chair was produced. The style of the labels changed a bit over the years, but the information included is basically the same. First edition chairs made in the late 1950s can have a FH Made in Denmark stamp directly on the leather as well. Sometimes the sticker labels on older chairs have been removed or have fallen off with use. If you find there are no labels present, look on the very bottom for a raised serial number, the FH logo, and "Made in Denmark" molded directly into the metal. Looking at the way an Egg Chair is made will offer even more clues about authenticity. Especially when you think an Egg Chair may be a counterfeit, look at how the piece is made and what it's made of to make sure it's the real deal. The craftsmanship of an original will be top notch. One place to start is with the stitching. An original chair made by Fritz Hansen will have a distinctive way it is stitched together with a sort of wave pattern. Reproductions made by other companies are not usually stitched as evenly, and some have a tuck and roll seam (a technique where a little roll of fabric is visible between the layers of a seam). You may notice that upholstery puckers a bit at the seams rather than laying smoothly. The fabric should also be taught and smooth on a newer Egg Chair, as in there shouldn't be any excess if you try to grab a bit of upholstery between your fingers anywhere on the chair. In older chairs made of leather, however, the material can stretch a bit with heavy use, so it can still be original even with a few loose spots. Additionally, leather chairs will be made using only two large pieces of premium hide wrapping the chair. A seam down the back is an indicator that your leather Egg Chair is not an original. The dimensions on a reproduction chair may also be a bit off. 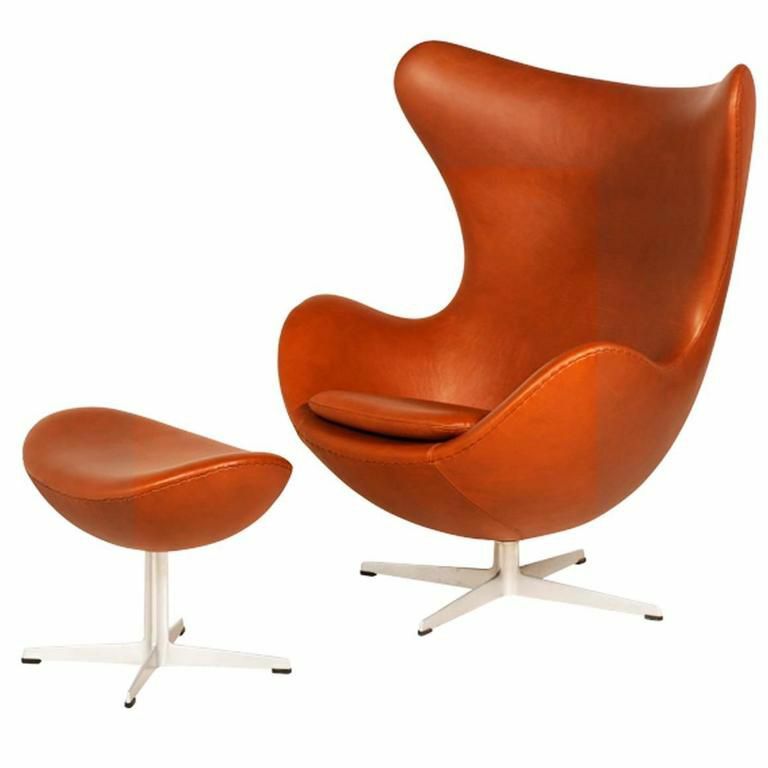 An original Egg Chair, as designed by Jacobsen, measures 43 inches tall, almost 34 inches wide and right at 31 inches in depth. Any other dimensions will indicate that your chair is a copy. Egg Chairs, even new versions, can be quite expensive. A new leather version with matching footstool crafted by Fritz Hansen can top $20,000 when purchased from an authorized dealer. The same set in various upholstery colors sells for in excess of $10,000. Vintage and/or used versions can be found for less, but older originals still sell in the thousands through dealers in the know. Needless to say, the result of this high value has led to many copycats and even some counterfeits (those that are marked FH even though they were not made by Fritz Hansen) to be made in this style. Be sure to learn how to tell an original from a lookalike before shelling out lots of hard earned cash to own one. Is Your Eames Molded Side Chair Authentic? What Are Some Excellent Midcentury Modern Furniture Designers to Know? Is Your Tulip Table Authentic?